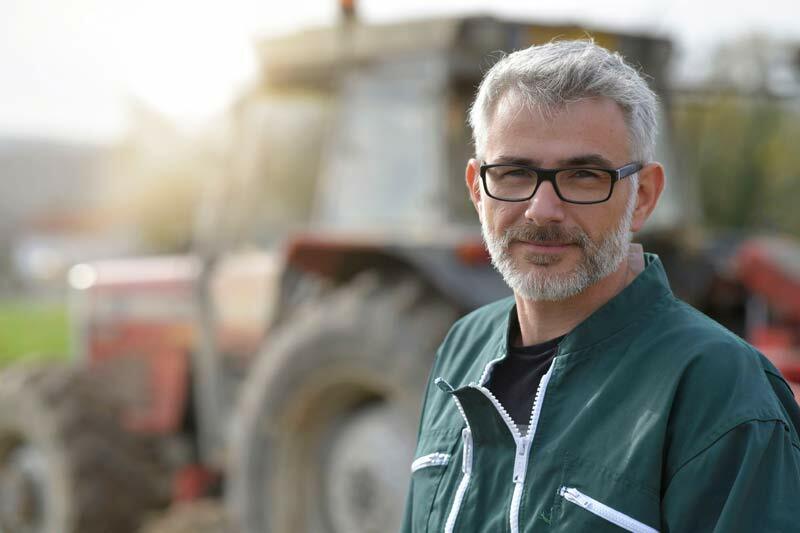 While doing your own tractor maintenance can be tricky, it’s important to understand when and why you should. Maintenance schedules for tractor fluids are based on usage – the number of hours a system has been used. We’ll give you some general rules to follow, and then show you how to get information about the hydraulic system in your specific make and model. In modern tractors, your steering fluid is part of the hydraulic system, and the fluids are drawn from the same reservoir. When you change your hydraulic fluid, you’re also changing the steering fluid! Change the transmission-hydraulic oil and filter and clean the transmission-hydraulic pickup screen every 1200 hours. 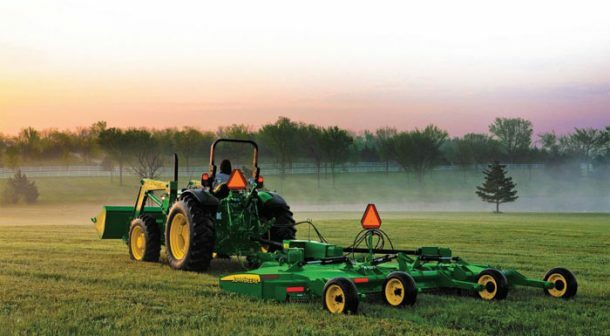 Performing tractor maintenance on your own can be a little intimidating, but it’s not difficult. Changing your tractor’s hydraulic fluid is very similar to changing engine oil: remove the plug, drain it out, clean the screens and replace the filter, put the plug back in, fill it back up. While the position of the plugs and filters may differ from tractor to tractor, the basic process is the same. Start the engine and drive your tractor around a bit until the engine is warm. This will get the fluids moving, along with settled contaminants, making them easier and faster to flush. Have buckets ready to catch used oil (the size bucket(s) you’ll need depends on the size of your tractor). Place a bucket under the oil fill plug on the rear hitch. Remove the drain plug on the bottom of the transmission and drain all hydraulic oil out of the system. You’ll drain out about the same amount you need to replace. Replace main the hydraulic filter with a new one and put the drain plug securely back in place. Modern hydraulic systems are self-bleeding, so you after you start the engine and let it idle for about 30 seconds it will be ready to go. Turn the steering wheel in both directions to make sure normal power steering function returns. Park on level ground. Put the range shift lever in neutral, set the brakes, and turn the engine off. Wait at least five minutes for the oil to settle. Check the oil level through the sight glass or by using the dipstick (depends on your model). The fluid should be up to the full oil level mark. If the oil level is low, add oil to the filler port. The amount of replacement fluid you’ll need depends on the make and model of your tractor. For specific amounts, check the maintenance section of your Operator’s or Owner’s Manual. Your manual will also have a diagram of where the plugs and filters are located on your tractor. Nelson Tractor Company recommends using oil and filters made by the same manufacturer that built your tractor. For example, if you have a John Deere tractor, use John Deere oil and filters. We believe you’ll get the best performance with products formulated specifically for your system, and you can be certain that the manufacturer’s products are top quality. Some brands of hydraulic oils will actually cause severe damage to the brake linings in your tractor so be very careful what you put in your tractor! If you need a hand changing the hydraulic (or steering) fluid, bring your tractor to us for basic maintenance and service. We’re always here to help out.